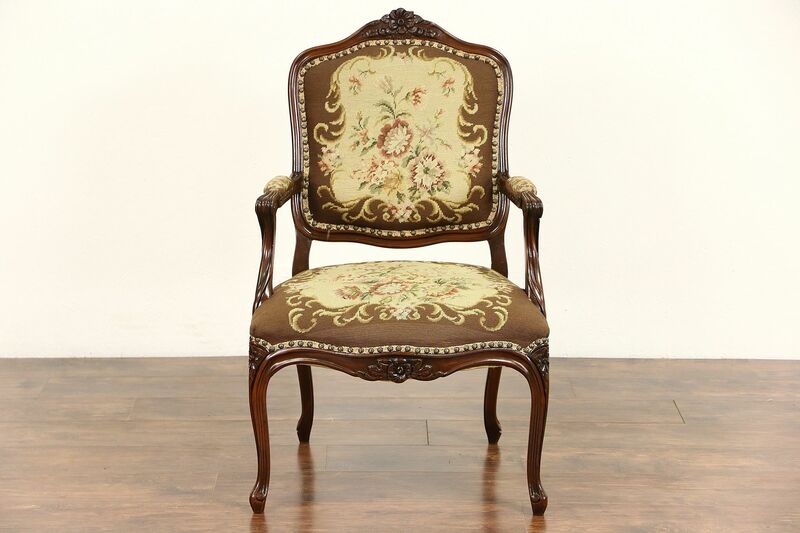 A French "Fauteuil" or arm chair from the 1930's was hand carved of solid beech hardwood. The old finish is very well preserved and has been waxed and buffed, so that just an occasional wipe with a soft dry cloth will maintain the warm patina. The frame is tight and strong on this vintage furniture from France. Hand stitched genuine needlepoint is in very good condition with brass nailhead trim. Measurements are 23" wide, 26" deep, 38" tall and the comfortable seat is 17" high.